Okay, wow. 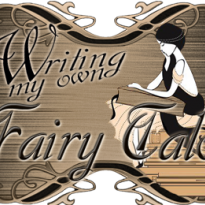 First of all, I'm so happy I was given the chance to read and review this book for HarperTeen. This has been one of my most anticipated books since last year when I finished Pandemonium. It has been one of my favorite series and I am so happy to say that the finale did not disappoint me at all. To be honest, Pandemonium wasn't my favorite. I'm not a big fan of Julian, nor was I particularly happy with their relationship. I understand that Lena needed to move on from what happened in Delirium, but I didn't want it to be real or for her to move on. Because I wasn't ready. But Pandemonium was a great set up for understanding what was happening for the series as well as all of the changes Lena was going through. So in the end while I didn't love Pandemonium, I did appreciate it. But this is supposed to be about Requiem. I just mentioned Pandemonium to say that while I was highly anticipating Requiem, I was also extremely nervous. I know Lauren Oliver has no problem toying with the emotions of her readers and I seriously had no idea how Requiem's story would end. But I'm here and happy to report that, for me, it was perfect.I'm not going to do a rundown of events for Requiem. I don't want to spoil too much for people who haven't read the earlier books and I don't want to spoil Requiem either. I do know that the ending of this book has so far divided fans of the series into two groups: those who love it and those who are disappointed with it. I, obviously, fall into the 'loved it' group and I'll explain why a little later. 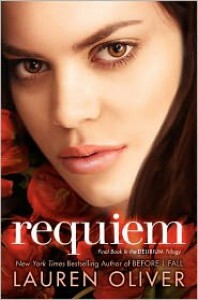 First I just need to say that I love Lauren Oliver's writing and Requiem was no different. There were parts of the book that I didn't love. It took a little bit for me to like reading Hana's POV. Those chapters seemed to drag the book down a little in the beginning. But as she developed and the story got deeper, I ended up enjoying seeing her side just as much as Lena's. And that surprised me because I read Hana's novella and I didn't think my feelings about her could be changed. But they were and I ended up loving the whole journey this book took us on.As for the polarizing ending I do want to explain why I loved it so much. I don't want anyone to completely write off this book just because the ending might not be what you want. For me, I felt that even though we might not have gotten the end of the story that we wanted for the characters that we love, we got so much more. We got hope and love and choice. We got possibilities and bravery and life and risks. We got the promise that there is something else out there past the 'end' of this story, something better for the characters than we've seen yet. We don't get the nicely wrapped-up-with-a-pretty-bow happily ever after, but we do get to see the characters hoping for something better and being brave enough to fight for it. We get to see that fear doesn't stand in their way of moving forward. That the possible future of freedom and choice is worth the risks that come with the fight. And that's what this whole series is about, that you can't be truly happy without sometimes being unhappy. You can't feel love without feeling hate sometimes. You can't feel good without the bad. But the good always makes up for the bad. The possibilities are always worth the risks. “He who leaps for the sky may fall, it's true. But he may also fly.” (Delirium) Requiem reminds us that while we may be reading about Lena and Alex and Julian and Hana, all of their struggles and battles are relevant to our lives as well. We need to remember that love is worth the risk of getting hurt. That freedom must constantly be fought for. I thought the end of this book was beautiful and I hope you will all read it.Final Thoughts: I really wish I could do this book justice. I loved Delirium so much and I feel like Requiem really tied the whole series together and brought Lena's struggle with herself and her initial desire to feel nothing and go through life so easily to a wonderful close with her believing that choice and freedom to love, and feel hurt, are worth much more than security and walls and feeling indifferent to everything. I loved her journey and am so glad that Oliver wrote it for us. At this point I'm just gushing, so I'll wrap it up by saying that I highly recommend Requiem if you have loved the Delirium series. And if you haven't started the series yet, go do it now! I gave Requiem five stars and while I hope that you all will love it as much as I did, I know some of you will be disappointed. I really hope you'll give it a chance, though. It was a beautiful book full of intense emotions and thought-provoking moments.